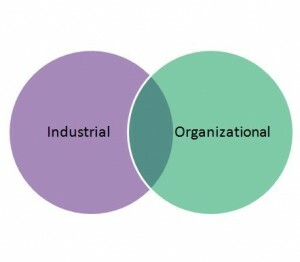 The major division in I-O psychology is the the “I” and the “O.” Industrial elements of I-O psychology tend to deal with pieces of work life that relate to more individual elements, such as selecting new employees. Essentially, where the primary impact is on the individual employee. The organizational elements tend to deal more with group dynamics and social psychology. This area of I-O psychology is where you will find research on things such as organizational change or organizational culture. While this division can sometimes be thought of as a fairly clear split, there can be significant overlap. This sort of interaction can be seen in the workplace where individual personalities may impact group dynamics. Furthermore, while there are both I and O sides, they join together in 6 general fields of focus within I-O psychology. These fields of focus are relatively self-explanatory, but it is important to note that people trained in I-O psychology employed by businesses influence almost every aspect of these areas. It is not uncommon for an I-O psychology trained person to address issues of return-on-investment, legal, productivity, and workplace satisfaction. Finally, if you have any questions about any of the divisions within I-O psychology please feel free to contact me.